Globally every nation has a plan on resource mobilisation and utilisation as reflected in periodic budget preparation and presentation. In the 1980s, most developing countries were faced with health and socioeconomic inequalities. 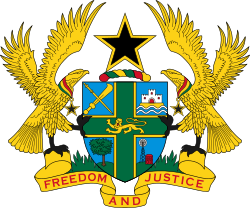 In response, many of these countries including Ghana adopted the Structural Adjustment Programmes which required introduction of user fees at the point of health service delivery to generate revenue. Growing up in Bunkpurugu is the greatest blessing the Good Lord has given me aside my life and person. Anytime my cognitive processes play back some of the childhood events and I juxtaposed to today’s social environment, I see a real social detachment. As a little boy the city called Accra was a place with limitless enjoyment, in fact the Paradise the Bible talks about. I was made to understand Accra was allergic to poverty and human suffering, and was addicted to solving all the challenges imposed by poverty, ignorance and disease. Healthcare delivery has often been seen as a duty for the people in white and green dresses, and sometimes the blown khaki ladies who are responsible for inflicting pain to innocent children in the name of immunisation.